As if I need any more convincing or another reason to visit Chick-fil-A®, they have now added more items to their already appetizing menu (and don't forget your limited-time peach milkshake while you're at it). Chick-fil-A® now has three new, mouth-watering items– the Chick-fil-A® Grilled Chicken Sandwich, Chick-fil-A® Grilled Chicken Club Sandwich and Chick-fil-A® Grilled Nuggets. Can I get a collective "YUM" for the fun of it?! Yum! Chick-fil-A Grilled Chicken Sandwich: The Grilled Chicken Sandwich is a boneless, 100 percent pure breast meat chicken, marinated with a special blend of seasonings and grilled for a tender and juicy backyard-grilled taste. It is served on a new toasted, multigrain bun with green leaf lettuce and tomato and served with a side of Honey Roasted BBQ Sauce. It is priced starting at $4.29 with just 320 calories and 5 grams of fat, making it one of the most nutritious grilled entrees in the quick-service industry. Chick-fil-A Grilled Chicken Club Sandwich: Building on the improvements of the Grilled Chicken Sandwich, the Club adds a kick of flavor with Colby-Jack Cheese and Applewood smoked bacon. It is priced starting at $5.49 and has 440 calories and 14 grams of fat. Chick-fil-A Grilled Nuggets: Chick-fil-A Grilled Nuggets, which were first introduced in 2012 as a Kid’s Meal entrée, have been reinvented and offer the new grilled flavor in bite-sized pieces of pure boneless breast of chicken that are great as a meal or a snack. Customers can order Grilled Nuggets in 8-count (140 calories, 3 fat grams) or 12-count (200 calories, 4.5 fat grams) with their choice of dipping sauce. Grilled Nuggets are made without gluten-containing ingredients and are free of trans fats, with prices starting at $3.79 and $5.59, respectively. Yesterday, after picking my son up from the gym, I thought we would give one of the items a try. I figured he had burned off so much energy that he could use a good sandwich to re-fuel his body. And hungry people make the best food critics. 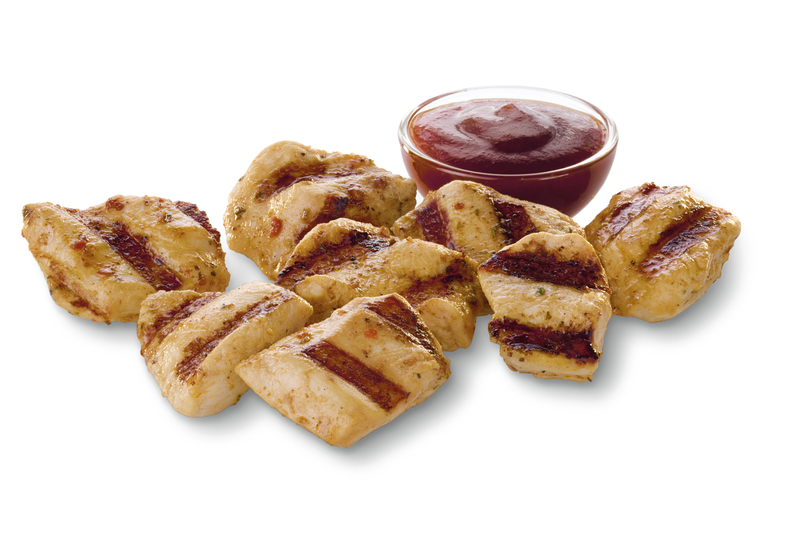 Chick-fil-A® sent us over an offer cards to try out a new grilled chicken item for the months of May, June and July. 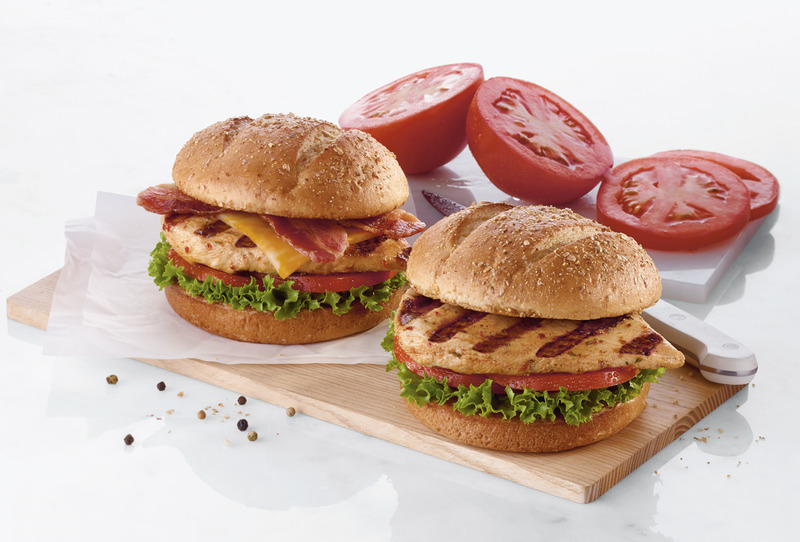 This month's item is the Chick-fil-A® Grilled Chicken Sandwich. There are signs all over the store with a picture of the newest sandwich on them. I noticed one on my way to the register right before I was going to order. Great advertisement placement, if I do say so. 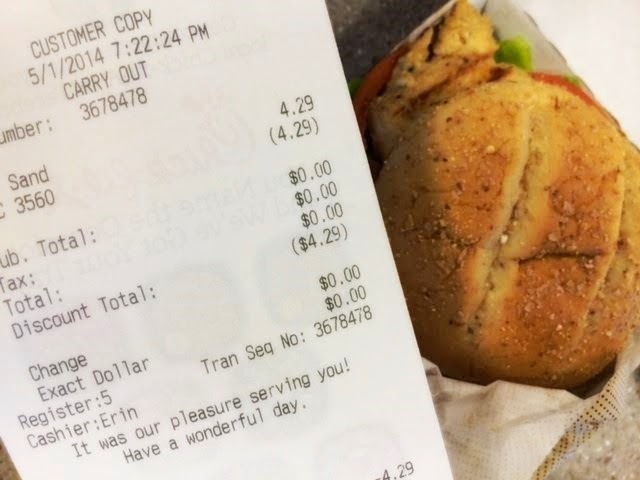 As mentioned above, the Chick-fil-A Grilled Chicken Sandwich starts at $4.29. I handed over my card to redeem my free item. The cashier swiped the card and the price went down to $0.00. If that's not enough to make your food taste better then I don't know what to tell you. It frees up your wallet to order some waffle fries, a tasty cup of lemonade, or a milkshake to go with your meal. And that all equals, delicious. My sandwich finally came out. I was all for trying it right away. I had an eager toddler on my hip who wanted to get a bite of the sandwich as well. I noticed the fresh lettuce. There were no brown edges and it was very green. There were also good size tomatoes on my sandwich. Very juicy. This is good, but it can make the bread a bit soggy if you don't eat your sandwich immediately. Did I mention that the multigrain bun adds even more flavor? It does. I ate my sandwich plain. I don't like to put any condiments on it. As soon as I bit into my sandwich, I noticed the great blend of seasonings. It tickled my senses. It was so moist that I could not stop eating it. But, I had to share with my toddler. I devoured that sandwich. It did not stand a chance. And, I felt good after eating it. All I can keep thinking is fresh, flavorful and filling. I keep repeating those words over and over in my head. It's the best way I can describe it. These new items come with a lot of investment. This was no overnight thought that came to light. Now, I cannot wait to try the other items on the menu. 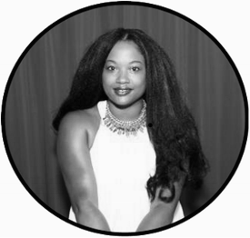 My offer card allows me to try the Chick-fil-A® Grilled Chicken Sandwich in May, the Chick-fil-A® Grilled Chicken Club Sandwich in June and either one in July. AND I WOULD LIKE YOU TO TRY THEM OUT, TOO! **There will be several winners!! 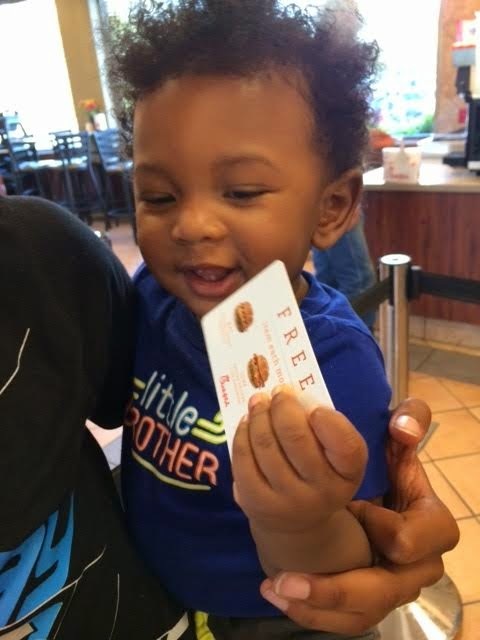 I was provided digital offer card for my family to redeem thanks to Chick-fil-a. The opinions and views are my own.